OverviewYou play Popeye who must win the love of Olive Oyl in three different scenarios while avoiding the nasty Bluto. Your main weapon against this relentless brute is the cans of spinach that appear at the beginning of each screen. 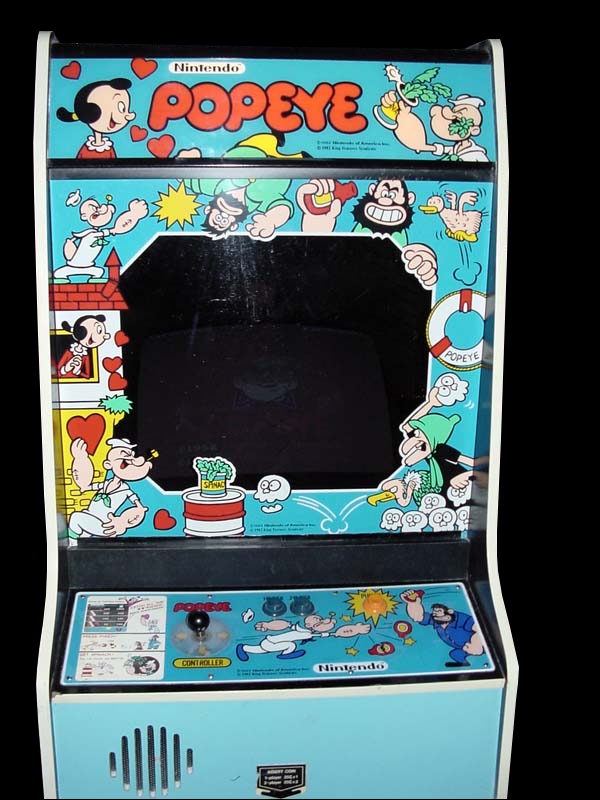 Popeye is a 2D arcade game similar to many old arcade cabinet games like the original Donkey Kong. You play as Popeye as he avoids Bluto/Brutus and collects kisses, musical notes, or letters from Olive Oyl to clear each level. 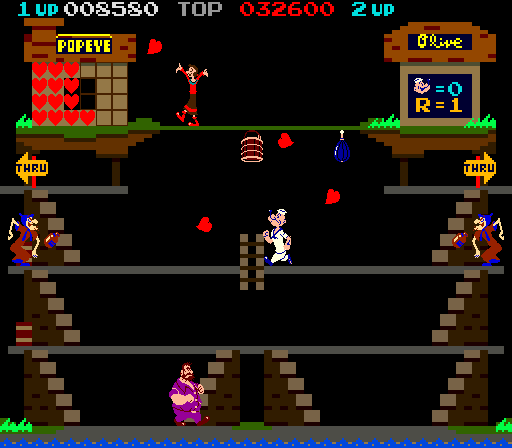 There are four levels in the game with different layouts and other obstacles such as the Sea Hag throwing objects at Popeye and pits to avoid falling into. The game goes on endlessly until the player runs out of lives like many arcade games at the time so the game has no real ending as the player is encouraged to see how high they can score in the game. Popeye cannot jump like most platforming heroes at that time, but he can punch certain obstacles that would otherwise hurt him. The punch is also used to pick up spinach power ups that make Popeye temporarily invincible and able to attack Bluto/Brutus without being hurt. Punching bags appear after a certain number of cycles through the levels that Popeye can punch down to fall on Bluto/Brutus to stun him and earn bonus points. 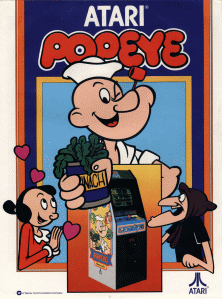 Popeye is a fairly straightforward game that does a surprising amount of justice to the Popeye series. 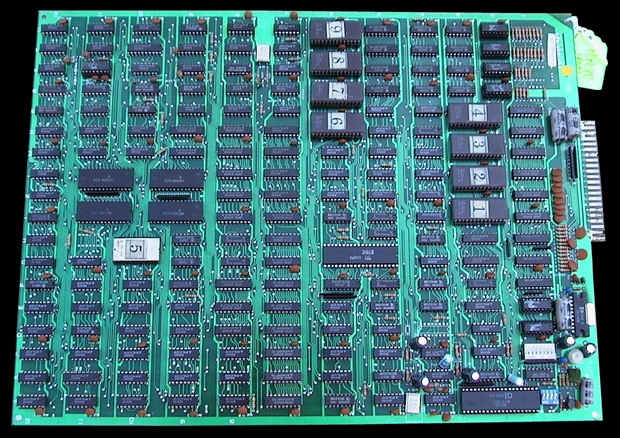 The game has been ported to many different systems such as the Amiga, Commodore 64, ZX Spectrum, and more. Now you can add videos, screenshots, or other images (cover scans, disc scans, etc.) for Popeye (bootleg) to Emuparadise. Do it now!